I don’t consider myself to be a very spiritual person. I’m pretty cynical, and tend to hang out in the here and now. When pressed, I define myself as ‘observant’, rather than ‘religious’. 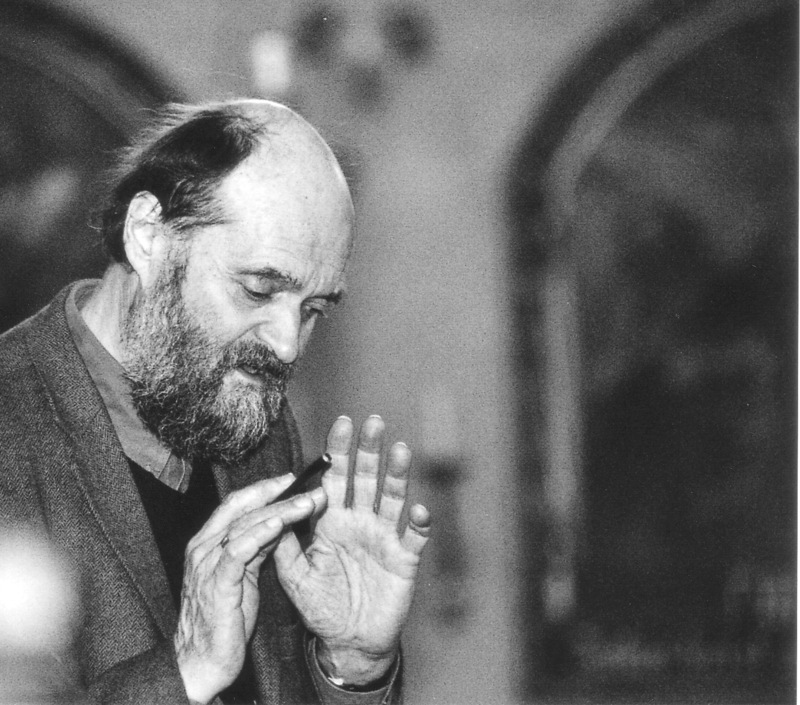 But I’ve been listening for the last couple of weeks to the contemporary Estonian composer Arvo Pärt. Which means it’s been a pretty serene couple of weeks. 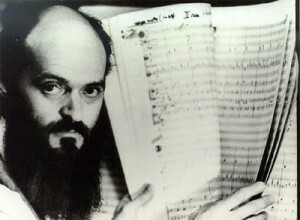 Pärt was born in Estonia in 1935, composed furiously in the tonally severe vein of Bartok, then in the serialist mode of Schoenberg, which got him into a heap of trouble with the Soviets, then he stopped composing completely for about a decade, working as a radio engineer. And then he was reborn musically in the early 1970s, heavily influenced by Gregorian and Medieval and Renaissance liturgical music, and apparently motivated by his own devout Russian Orthodox belief. He emigrated from Estonia in 1980, ultimately settling in Berlin, where he still lives and composes. The piece attached here is Cantate Domino, Psalm 95, composed in 1977 and performed by Paul Hillier’s Theatre of Voices. This piece is light, even playful. 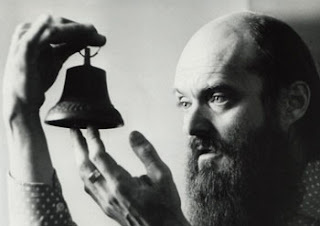 Typically, Pärt’s music is more elevated, glorious, full of gravitas, gorgeous. I’ve known this CD for a number of years, but it recently started speaking to me in a certain quiet voice that’s riveted my attention. I acquired thirteen more CDs over the course of a week (he’s surprisingly popular, can be found in stores), and I’m working hard at broadening my appreciation for his work. Actually, I’ve listened to nothing else. That’s deep immersion, even for me. But as I say, I’m feeling pretty serene. He frequently employs a technique he calls ‘tintinnabuli’, a bell-like sustained triad. 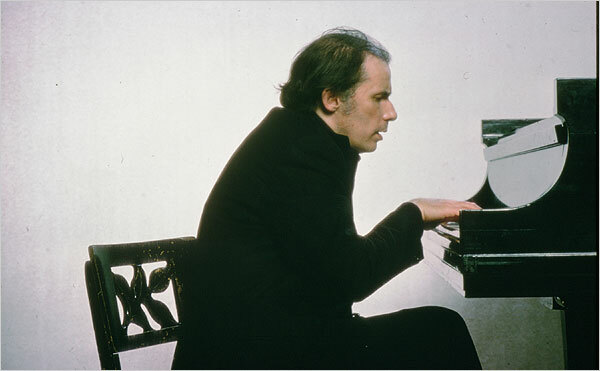 His music doesn’t really move forward in the standard Western dramatic sense of tension and release, complications and resolutions. It’s as thought he’s not interested in getting anywhere, just in letting go and floating up into a rarer place. As if the music exists outside time, outside the turmoil of tempo, in peace and harmony. Utter simplicity, utter serenity. Much of his music is choral. He calls the voice “the most perfect instrument of all”. Well, thank heaven he usually writes music, not words, and thank heaven I mostly listen to him rather than talk about him. Some people associate him with the ‘minimalists‘, but hear quite a lot happening. I sure wouldn’t call him any names at all. So let’s check our cynicism at the gate, settle in and relax. Make sure there’s no one about to disturb, and crank the speakers way up loud. Let them float, them tintinnabulous triads. “Art is a matter of taste.” No one has the right to say what’s ‘good’ and what’s ‘bad’. Everyone’s entitled to his/her/its opinion. Well, I guess I begrudgingly go along with the idea that everyone is entitled to vote. But I wouldn’t go so far as to say that everyone has a right to an opinion about music. A goodly number of years ago I had an ongoing informal teaching relationship with a young man, let’s call him Ohad. 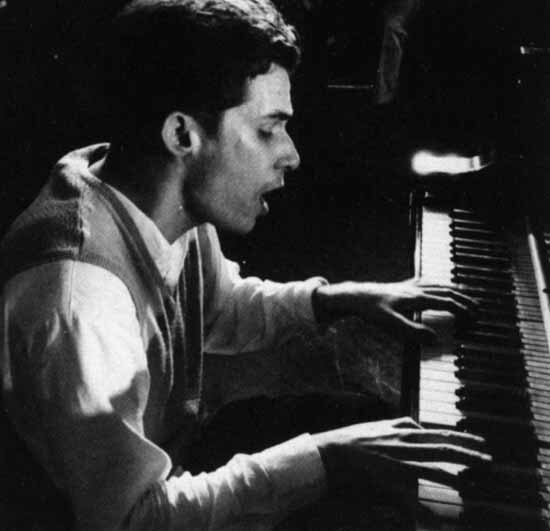 He was about 16 when we started, a bona fide musical genius, composer/keyboardist. I taught him everything I know about rock music. I mean, everything. The kid was a veritable sponge. We developed a private language, one which I think no one on the face of the globe could have followed. We later employed that empathy in developing music for a number of plays I wrote and directed. He was no pushover in the opinion department, but we pretty much agreed on everything. I gave him album X, and he came back saying songs 2, 7 and 11 get a 9. The rest 7 and below. And he was right on. Precisely, Watson. Maybe we would quibble about half a point. But on the fundamental perception of the album, we were in violent agreement. That doesn’t mean we shared the same opinions, the same likes and dislikes. One could have more affection for a certain artist, the other less, but we could always get what the other was hooking onto. Why, you may ask yourself, is that so? I’ll tell you why I think it’s so. Because some musical works are empirically better than others. How do we empirically evaluate that? I have no idea, I just like using the word. Back in the very early 1960s, I was one of the very few people who bought LPs. Everyone was buying the hit 45s. But I achieved compulsion at a young age, and I wanted to make sure that ‘Mr Blue’ and ‘Come Softly to Me’ weren’t the Fleetwoods’ only gems, that God forbid I wasn’t missing anything. And so often, those albums contained that one hit and 11 attendant 2’20” nonentities. Empirically. How does that happen? What separates the wheat from the chaff? I dunno. I do know. You do. Heaven does. Newton, Einstein. It’s just the way it is, don’t blame me. The one case where Ohad and I disagreed was Sting. I had nothing against him, especially “Dream of the Blue Turtles”. But Ohad just cringed. What can I say? Ohad, if you’re out there, I love you, but this song ain’t for you. It is for everyone else, though. 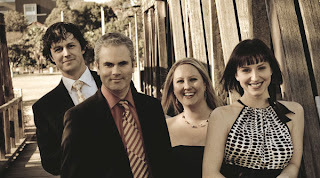 It’s by a great Australian a cappella quartet, The Idea of North. Listen to what four unembellished voices can do. I challenge anyone out there (except Ohad) to say that this ain’t a really fine piece of music. In case you were wondering, the group took their name from a concept coined by Canadian pianist and wacko Glenn Gould for an autobiographical film of that name, maintaining that ‘North’ is an idea as much as it is a physical region, that things can be mapped and measured for ‘nordicity’. What a word, right? Well, TION (as the quartet nickname themselves) are from Australia, which is north of, um, of, um… They have some very lovely videos, in which they sing songs and for which the costume designers should be given a generous cash prize and a place in heaven. 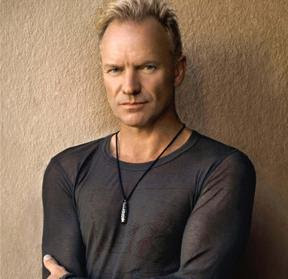 ‘Fragile’, like so many of Sting’s songs, displays self-righteous bleeding-heart, we-are-the-world, brainless-pacifist sentiments and a very lovely melody. And TION’s rendition is—well, you just listen and judge for yourself. A new CD was released last week by my favoritest ‘singer’ – “Dedicated to You: Kurt Elling Sings the Music of Coltrane and Hartman“. So I’m just popping with anticipation. Kurt Elling is 42, from Chicago, and this is his 8th CD in 14 years. 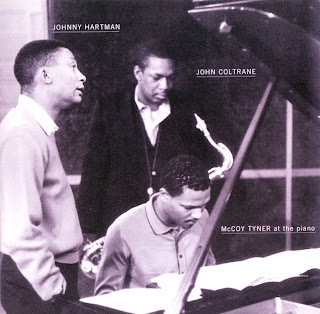 It’s a re-recording (with a few tasteful additions) of the 1963 classic “John Coltrane and Johnny Hartman”. Mr. Elling is an artist of amazing versatility, not just a singer. But he’s also a great crooner, as this CD will undoubtedly prove–when I manage to get my hands on it, here in the wholly holey Holy Land. But in the meantime, let’s revisit the source. John Coltrane is a monumental figure in modern jazz. He started out as an untried, technically limited tenor saxophonist in Miles Davis’ first quintet in the mid-50s. Eventually Miles had to throw him out of the band for drug abuse. Then he cut his chops for a while with Thelonious Monk and got himself off drugs. Then he rejoined Miles in the late 50s for the “Kind of Blue” period, then went solo. 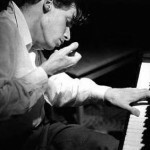 In 1961 he started moving towards spiritual, ‘free’ jazz, developing a commercially disastrous technique of “sheets of sound” and a lot of the most astounding music in jazz ever. To appease the record company, he recorded a couple of more palatable LPs, including an eponymous 1963 collaboration with balladeer Johnny Hartman. 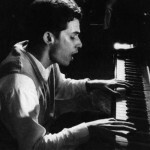 Ballads are to Coltrane as political protest songs are to Dylan–they constitute the backbone of his popular reputation, while actually constituting a rather insignificant place in his corpus. In subsequent years, Trane’s playing became so intense and his development as an artist so rapid that enthusiasts track his growth by the month, even by the week. He died in 1967 at the age of 40. 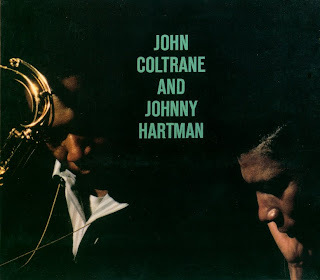 Johnny Hartman had a respectable though not brilliant career as a crooner contemporaneously with and then beyond Coltrane. His voice is so smooth it makes Billy Eckstine sound like Mick Jagger, Nat Cole like Joe Cocker. 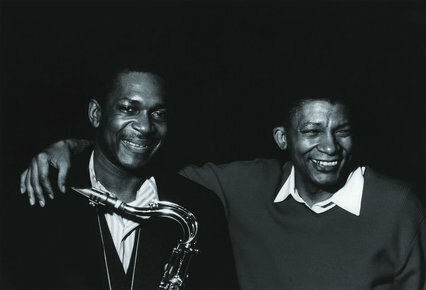 He recorded sporadically, and his acknowledged masterpiece is their joint venture, “John Coltrane and Johnny Hartman”. Only 30 minutes long, it’s enough of a classic to warrant an homage by as fine an artist as Kurt Elling. Of the six songs on the LP, each one a gem, I’ve chosen the lovely standard ‘My One and Only Love’. The performance here is the epitome of elegance and warmth, yet intelligent and musically substantial. So lower the lights, put on your smoking jacket, take a brandy glass in your hand, and enjoy. After last week’s visit to The Beach Boys, it’s now the turn of another of the great B’s, J.S. 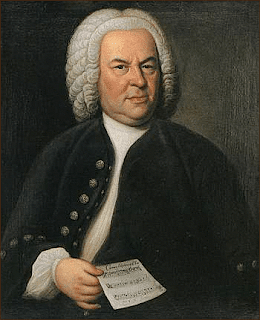 Bach, for a piece from a rather obscure work of his, the Toccatas for keyboard (BWV 910-916). Most of Bach’s works for solo instruments are composed of six units. These toccatas are seven, and they’re not widely performed. Two good reasons why they’re a favorite of mine. Oh, and the fact that they’re so great. 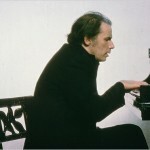 (BTW, don’t confuse these obscure keyboard toccatas with the famous Toccata and Fugue in D Minor BWV 565 for organ, which some of you may know through Garth Hudson’s expansive introduction to The Band’s ‘Chest Fever’, especially in concert versions). I always think of these toccatas as Old Jack Bach’s jazz pieces, because of their very improvisatory feel, meandering from section to section, no rigorous structure. In the one we’re featuring here, BWV 911 in C minor, he starts out with a doodle, then seems to find a bit of a melodic groove with a counterpoint, then seems to lose interest and return to his doodling, then a pause where he seems so be wondering what to do next. And then he rrrrrrrrips into a mad, take-no-prisoners fugue, one of the longest he ever wrote, 4 pages in the score. Then he starts to unwind it, slow it down. You think the race is over, and – boom, right back to the whirlwind. Then a playful, elegant elaboration, with the main theme alternating between minor and major. Right on, Johann. Serious musicians enjoy arguing about whether to perform Jack’s keyboard oeuvre on the clavichord or harpsichord (the keyboards of his day), or its well-tempered successor, the pianoforte, aka the piano. I have a hard time getting all twisted up about that (gee, could that possibly mean that I’m not serious?). I go for the particular performance. 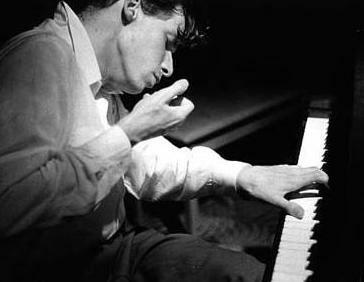 And for me, almost every time, that’s Glenn Gould. 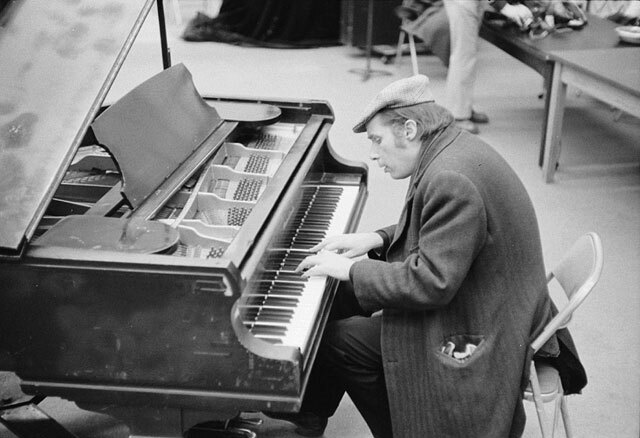 In a Social Skills school, Gould would be placed in a class with Howard Hughes and Bobby Fischer. You might not want to go on a camping trip with him. 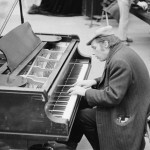 Serious musicians (them again) have a lot of reservations about him—he hums along with his playing (okay, not a great attraction), and his interpretations are ‘willful’ (i.e., eccentric, off-the-wall, wacko). He doesn’t adhere to the traditional tempi. Oy. I have a problem with a lot of the performing arts, such as acting and classical music. So often, the performer performs the score—plays the notes, reads the lines—rather than portraying a living version of what underlies it. And it all goes right past my ear. I loved hearing John Barton, the legendary founder of the Royal Shakespeare Company, say that he can rarely hear Shakespearean actors, that it’s usually just ‘words, words, words’ that fly past him. What I (and I think he) need is 100%, full-time, total engagément. Play no note, speak no line, dance no step, until you understand why it has to be. That kind of intensity is crazy. 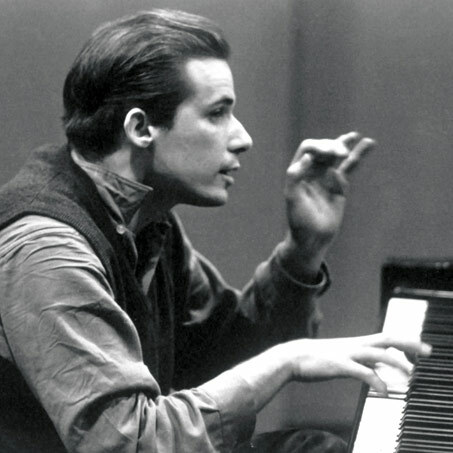 That’s why I listen to Glenn Gould. And I find his performance here wild and wonderful, full of humor and passion and humanity, and I’m tickled to have the opportunity to share it with you.